HMH Books for Young Readers, 9780547215679, 32pp. All quiet is not created equal. 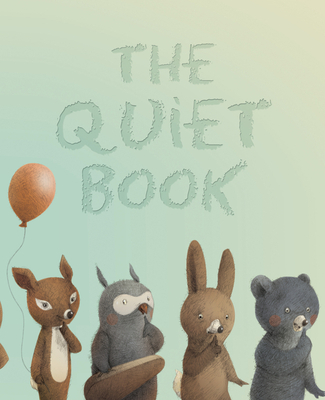 In this irresistibly charming picture book, many different quiet moments are captured, from the anticipation-heavy “Top of the roller coaster quiet” to the shocked-into-silence “First look at your new hairstyle quiet.” The impossibly sweet bears, rabbits, fish, birds, and iguanas are all rendered in soft pencils and colored digitally, and, as in all of the best picture books, the illustrations propel the story far beyond the words. A sure-to-be-a-classic bedtime favorite. Deborah Underwood has written numerous picture books, including Interstellar Cinderella, Super Saurus Saves Kindergarten, and New York Times bestsellers The Quiet Book, The Loud Book, and Here Comes the Easter Cat. She lives in Northern California with her feline muse, Bella.